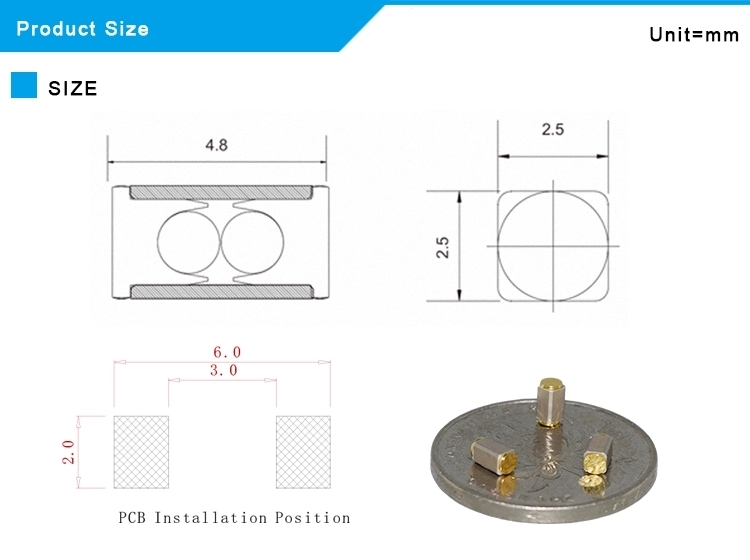 Slight vibration intelligent detection switch The vibration changes the size of the resistor to produce a pulse signal type switch. 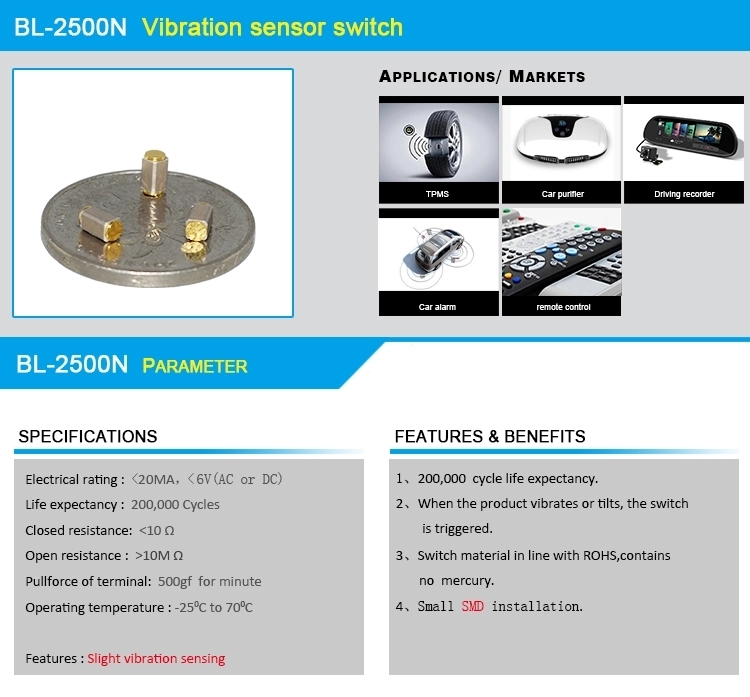 1.BL-2500N is a micro-vibration induction sensor switch. 2. Simple interface - no signal conditioning required. 3. 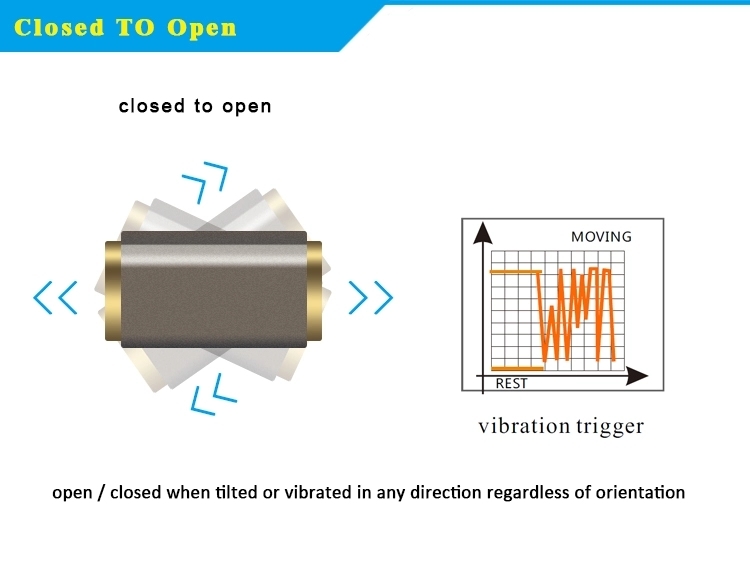 Non-directionality requires vibration-sensing switch, 360-degree omnidirectionality can detect vibration. 4. The switch is assembled with ROHS environmental protection materials and passed ROHS certification. Suitable for all kinds of alarms, LEDs, smart homes, vibration-triggered products.